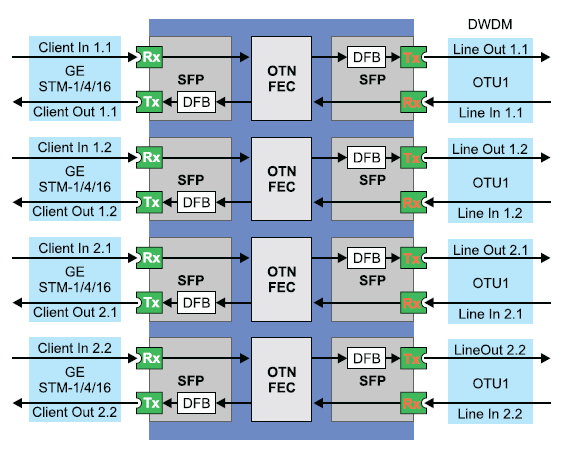 Quadruple transponder TQ-3ES combines 2 client GE streams, STM-1/4 streams into a linear OTU1. The TQ-3FS contains four transponders, each of which transmits one GE client stream, TM-1/4/16 to the OTU1 stream. Transponders in the TQ-3FS are working and configured independently: a different combination of client streams is possible. TQ-3FS is only available with FEC G.709.